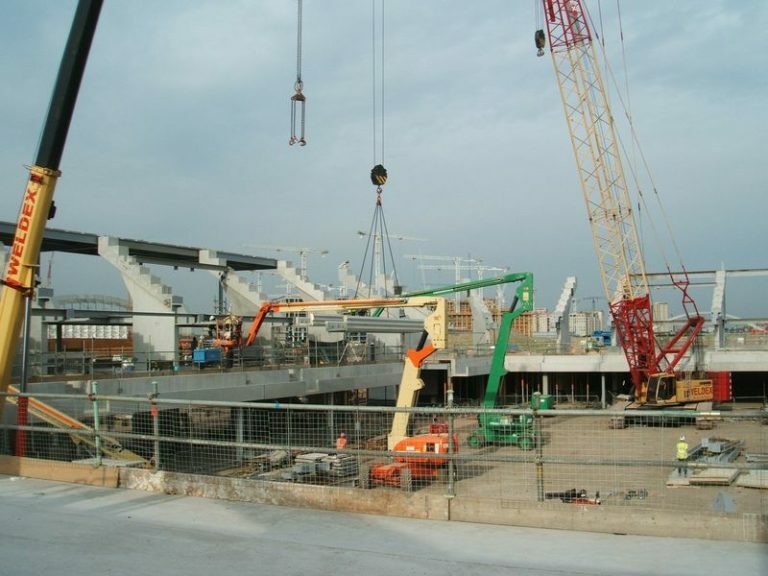 Banagher Precast Concrete Ltd., were appointed to supply all of the precast elements for this multipurpose venue for the London 2012 Olympic Games in August 2009. The contract comprised of both structural and terracing elements and including retaining walls, main structural fin walls, raker beams, terracing and vomitory walls. All terrace units were manufactured using self compacting concrete to provide the highest standard concrete finish demanded for such a prestigious project. 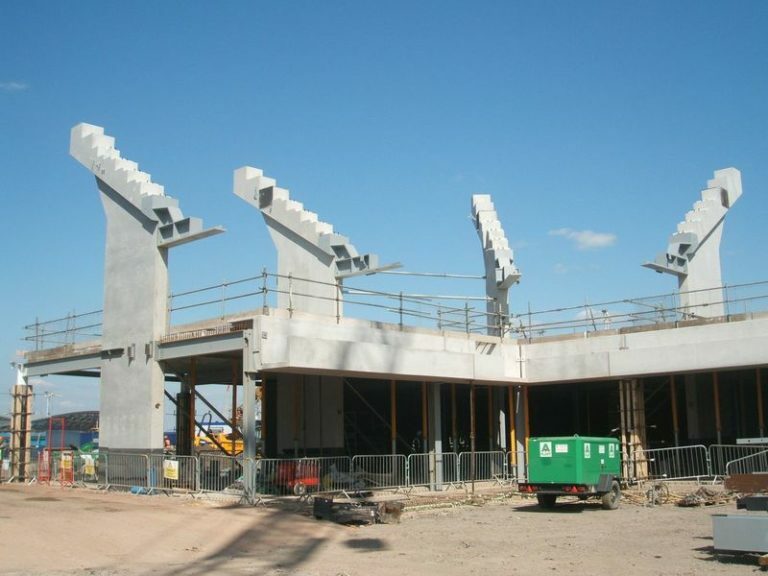 Banagher Precast Concrete Ltd worked with our design Consultant Exstrado and the design team (Populous Architects, SKM Consulting Engineers, CLM project managers and the Olympic Delivery Authority) to provide precast solutions for complex structural elements. 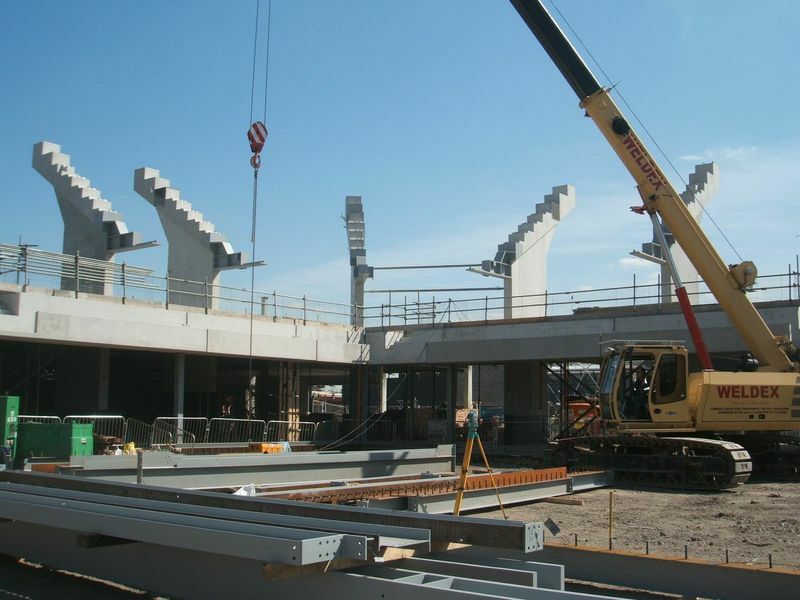 This included all raker beams which were redesigned in precast to form a monolithic connection with the fin walls, thereby solving challenging design issues. 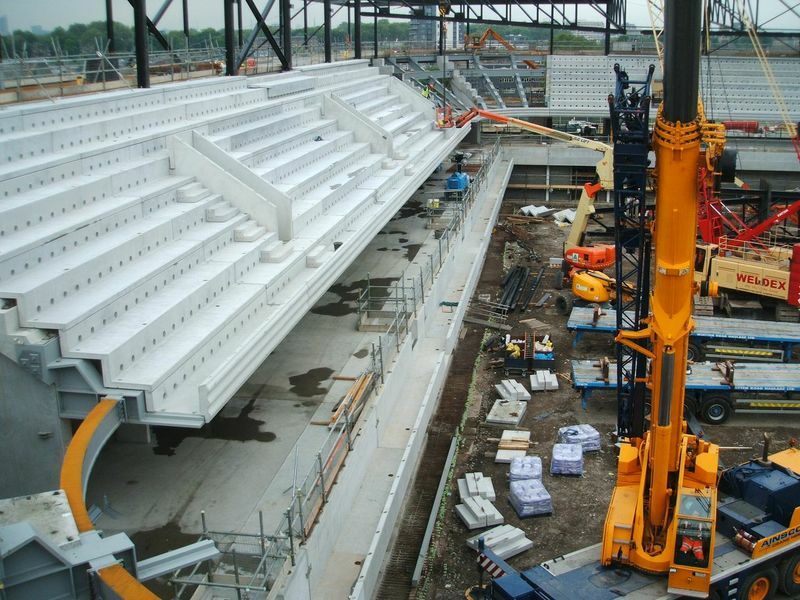 The arena has many unique precast design features such as cantilever parapet units with integrated stairs and bespoke upper tier front parapet wave wall units to meet architectural and acoustic requirements. The Handball Arena is located in the west of the Olympic Park. It has a maximum capacity of 7,000 seats and hosted the Handball preliminaries and quarter finals as well as the Modern Pentathlon discipline of Fencing during the Olympic Games. It was also be the Goal-ball venue during the Paralympics Games. In legacy mode after the Games, the Arena will become a multisports venue with flexible facilities to hold a range of training and competition events of all levels. 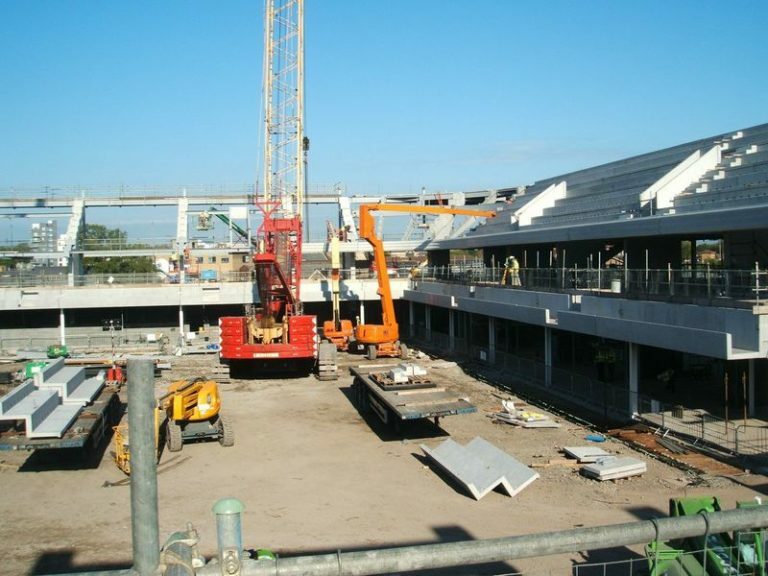 It will cater for a wide-range of indoor sports including Basketball, Handball, Badminton, Netball and Volleyball boosting the sporting facilities provided across the Olympic Park.